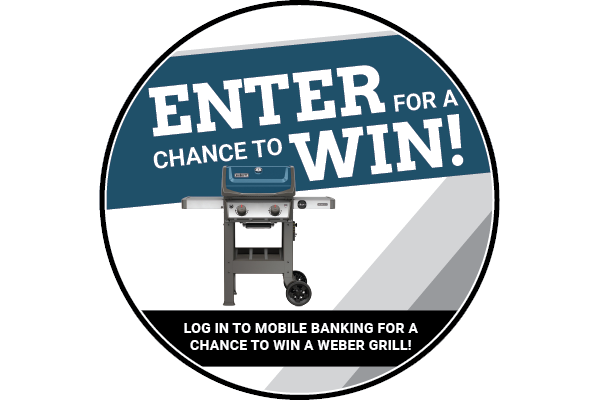 Access your credit union account online via It's Me 247 Mobile Web Banking between April 1 - May 31, 2019 to be entered into a drawing for a Weber Outdoor Gas Grill. One prize winner will be announced in June 2019. GOOD LUCK!